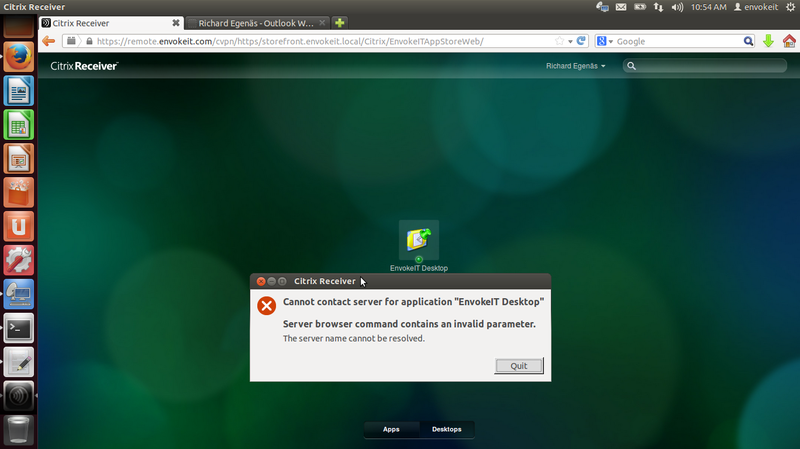 Bug in Citrix Receiver 13 for Linux – cannot connect with multiple STAs – @CitrixSupport, @CitrixReceiver, #Citrix | The IT Melting Pot! Ok, we’ve had some issues with Citrix Receiver version 13 for Linux.. and it’s not just ONE issue. I found one that I thought I just have to share… so it’s lab Saturday for me at the office in a true geek manner with two XenClients and my favourite MacBook! 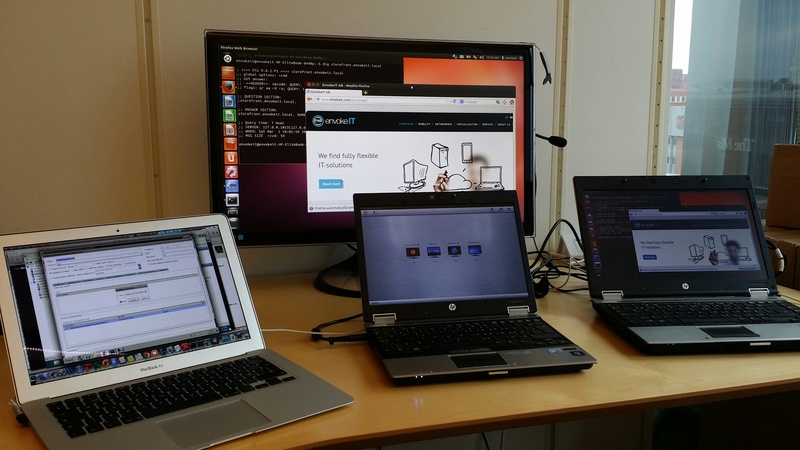 I guess that some of you have tried the Linux Receiver and knows how hard it is to get working, especially on a 64-bit distribution of Linux like Ubuntu 12.04 LTS och 13.10 LTS. If you follow these instructions you can get it onto the device and then login through a browser (local Receiver UI may still not be full functioning!).. What I’m about to show you is that it’s not just only getting Receiver on the device and ensuring that the SSL certificates are trusted. 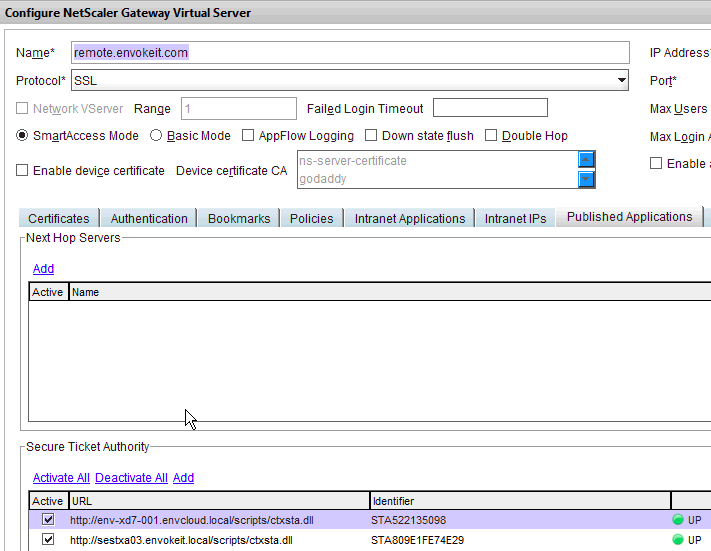 You then have to be able to use it as well externally through a NetScaler Gateway (NSG) into StoreFront and your XenApp/XenDesktop VDA’s. 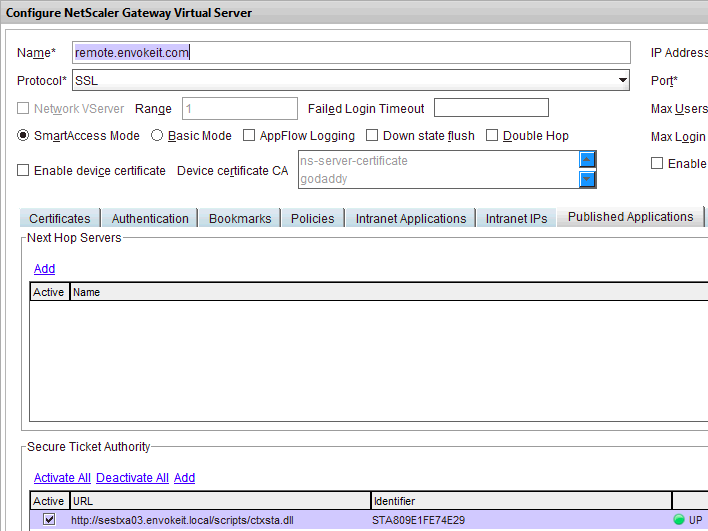 Just assume that you have a production environment that consists of a NetScaler Gateway and a StoreFront server, if you then in StoreFront have configured your NetScaler Gateway correctly and the appropriate STA configuration (with MULTIPLE STA’s) then you will notice that you can’t launch a session. 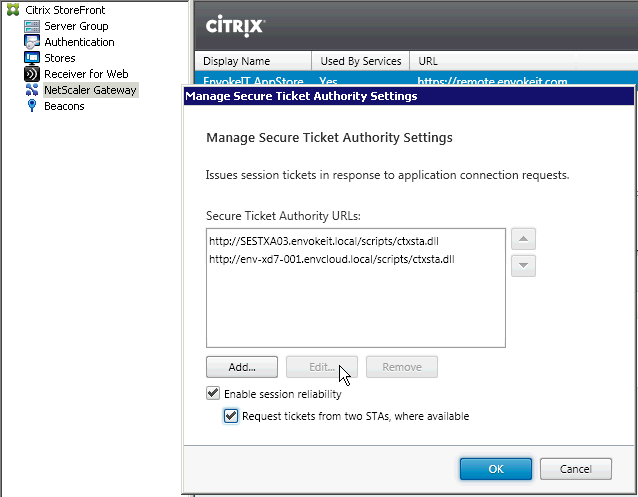 For all deployments, if you are making resources provided by XenDesktop, XenApp, or VDI-in-a-Box available in the store, list on the Secure Ticket Authority (STA) page URLs for servers running the STA. Add URLs for multiple STAs to enable fault tolerance, listing the servers in order of priority to set the failover sequence. If you configured a grid-wide virtual IP address for your VDI-in-a-Box deployment, you need only specify this address to enable fault tolerance. Important: VDI-in-a-Box STA URLs must be entered in the form https://serveraddress/dt/sta in the Add Secure Ticket Authority URL dialog box, where serveraddress is the FQDN or IP address of the VDI-in-a-Box server, or the grid-wide virtual IP address. The STA is hosted on XenDesktop, XenApp, and VDI-in-a-Box servers and issues session tickets in response to connection requests. These session tickets form the basis of authentication and authorization for access to XenDesktop, XenApp, and VDI-in-a-Box resources. 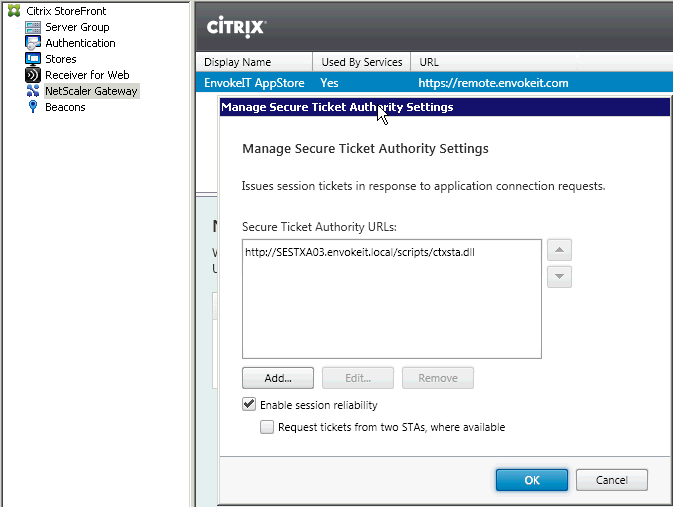 If you want XenDesktop, XenApp, and VDI-in-a-Box to keep disconnected sessions open while Citrix Receiver attempts to reconnect automatically, select theEnable session reliability check box. If you configured multiple STAs and want to ensure that session reliability is always available, select the Request tickets from two STAs, where available check box. So what do you do as an admin setting up your environment, I guess we add two STA’s!!! It works like a charm on Mac and Windows… so what is the issue!?! This was great! I found the issue, but wait…. is it great!? NO, it means that Citrix has a bugg and have to release a new version with a fix for this. But wait again, is that the bad thing or is the real bad thing here that they don’t test their own products in a real production scenario? This has now become another example where Citrix has some work on their side to ensure that they do proper test cases and quality assurance before releasing stuff! 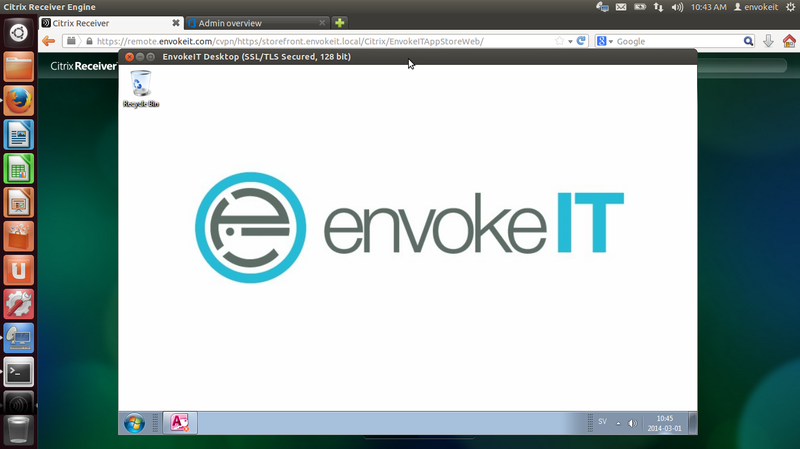 Well, well.. now Citrix should be aware of it and so are you. Don’t try to run Citrix Receiver for Linux remotely (internally is totally fine though then the STA is not involved at all), but you still have to ensure that you get the Receiver installed properly using this crazy workaround to get it to work. Hopefully you have Puppet or some other configuration management tool in place to assist you with this nightmare so that each user doesn’t have to install it by himself. And then you have the certificate handling as well that isn’t that great.. managing the root certificates independently for the Receiver, come on Citrix! Now my little lab and test Saturday can come to an end, have a great weekend all!